Sony's Project Morpheus VR system has a new, more obvious name: PlayStation VR. The announcement came today at the company's Tokyo Game Show press conference, but that's about the only new information Sony was willing to part with. 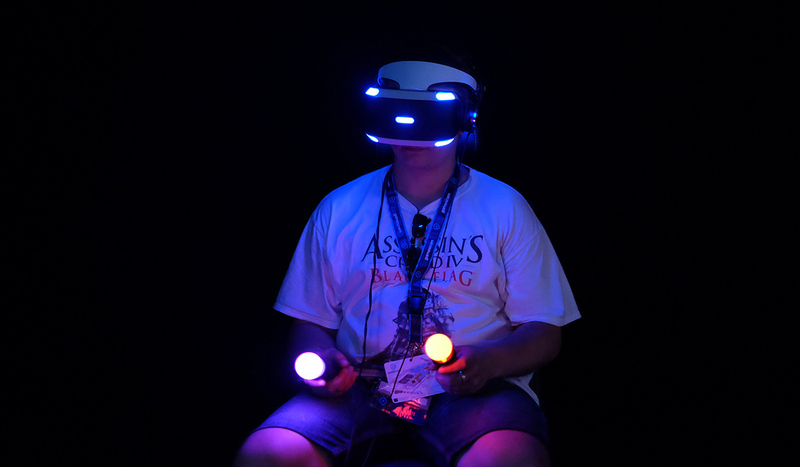 Explaining the change, PlayStation product business president Masayasu Ito says "The name 'PlayStation VR' not only directly expresses an entirely new experience from PlayStation that allows players to feel as if they are physically inside the virtual world of a game, but it also reflects our hopes that we want our users to feel a sense of familiarity as they enjoy this amazing experience." He adds that the hardware itself will continue to be refined in the coming months, and that Sony is working closely with 3rd parties and in-house studios to ensure there are actually some games for the thing when it launches. There's still no official release date for the headset, which is due for release at some point in early 2016. Some day you could be flipping through your vacation photos while wearing a VR headset. At the XOXO Festival taking place in Portland, Oregon this weekend, Flickr is showing off an early preview of a virtual reality experience that it hopes to integrate with its photo service. 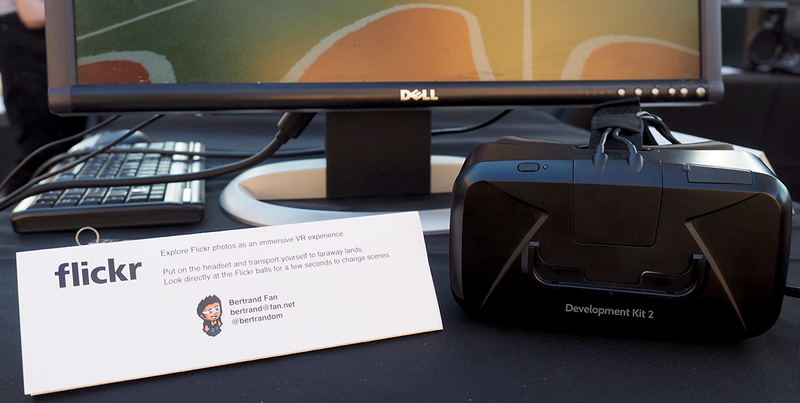 The demo at the festival was with an Oculus DK 2 hooked up to a PC and the idea is that you'll be able to use the headset specifically with 360-degree panoramic photos. I tried it on and indeed I was able to look all around me in 360 degrees to view an entire scene. To flip through the slides, I looked down at a pair of pink and blue balls for a couple of seconds, which triggers the next photo to load. Hideo Kojima’s Metal Gear Solid swansong sold almost half a million copies across PS3 and PS4 in its debut week. That’s according to the latest data from Famitsu, which shows that the PS4 SKU of open-world stealth game Metal Gear Solid V: The Phantom Pain shifted over 315,000 units last week, rocketing to the top of the retail software charts. The PS3 version of the title was hot on its sibling console’s heels, shooting up into second place with more than 157,000 sales – almost exactly half of the PS4's total. It’s a reversal of fortunes from 2014 predecessor Metal Gear Solid V: Ground Zeroes, which sold roughly 25 per cent more copies on PS3 than PS4. When combined, that means that The Phantom Pain sold 472,893 copies across the Sony platforms alone in its first six days on sale, having launched on September 1st. The game is also available on Xbox 360, Xbox One and PC – although none of these versions made the Top Ten last week. With three days having passed since the official chart count on September 6th, it’s pretty safe to posit that Kojima’s latest has now passed the 500,000 sales mark in Japan. Unsurprisingly, The Phantom Pain’s launch propelled Sony’s PS4 to the top of the hardware rankings with over 54,720 sales, surpassing usual top spot contender the New Nintendo 3DS XL. The only other new Top Ten game to brave Metal Gear Solid release week was 5pb’s IS <Infinite Stratos> 2: Love and Purge for the PlayStation Vita, which debuted in seventh place with just over 10,000 sales. Boxed game sales are falling and the dearth of digital data means the true state of the market remains largely a mystery. But one tried and tested retail sector is certainly in rude health. As recently as 2013, retail feared that next-gen consoles might mark the end for pre-owned games. But while digital continues to claim a growing slice of modern console software sales and post-release digital content swells, pre-owned game sales are up 25 per cent year-on-year for the 12 months ending August 2nd, hitting a value of £126.3m. That’s according to Kantar Worldpanel, which says that the number of pre-owned UK buyers has not actually increased. It stands steady at around 3.2m shoppers, but the amount these gamers spend is on the up. The average pre-owned outlay per shopper is now £40 – a £10 increase over the previous 12 months. Perhaps more importantly, 72 per cent of these buyers also purchased a brand new game in the last year. And with GfK Chart-Track data showing a further 1.1 per cent decline in boxed new game sales so far in 2015, Kantar believes pre-owned still serves as a huge contributor to the software sector’s overall health. The benefits of pre-owned don’t end there, either. Kantar added that 79 per cent of mint physical purchases are pre-planned. That means only 21 per cent are impulse purchases – compare this to pre-owned, where 44 per cent of purchases are made on-the-spot by impulsive consumers. Pre-owned also remains a vital entry point for younger gamers. Among the under 25s, pre-owned accounts for one third of purchases. For the overall market, that figure stands at one quarter. It’s not all good news, however. The pre-owned market is centred on last-gen machines such as PS3 and Xbox 360. Two out of every three games purchased for last-gen machines are second-hand. For current-gen, just one in three is pre-owned. This could potentially point to some market pain down the line. If PS4 and Xbox One buyers have moved away from pre-owned due to increased digital sales and post-release DLC, then the continuing shift from last-gen to current-gen hardware risks bringing with it the gradual erosion of pre-owned’s market benefits. It could be, however, that as last-gen consumers migrate to newer hardware – which will almost certainly happen as prices continue to fall – they bring their buying habits with them. Upright piano's don't exactly scream "high-tech," since everyone's weird aunt has one. A pair of hackers from a company called MajorMega may change your mind, however as they've modified one to give you and your friends a fun way to create multi-part compositions. 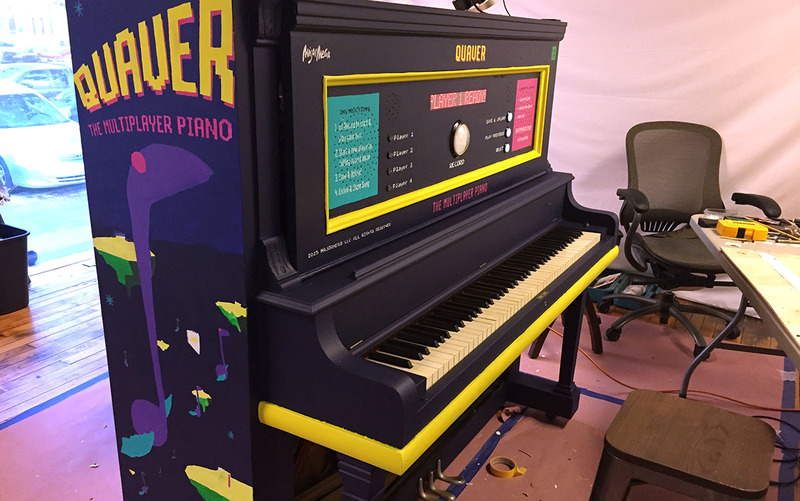 The "Quaver" upright piano is equipped with a Raspberry pie board that makes it act like a 4-track recorder and loop sampler. All you have to do is sit down, punch the big "record" button and bang out your part of the song. When you hit the button again, the piano will instantly play back your creation in a loop. 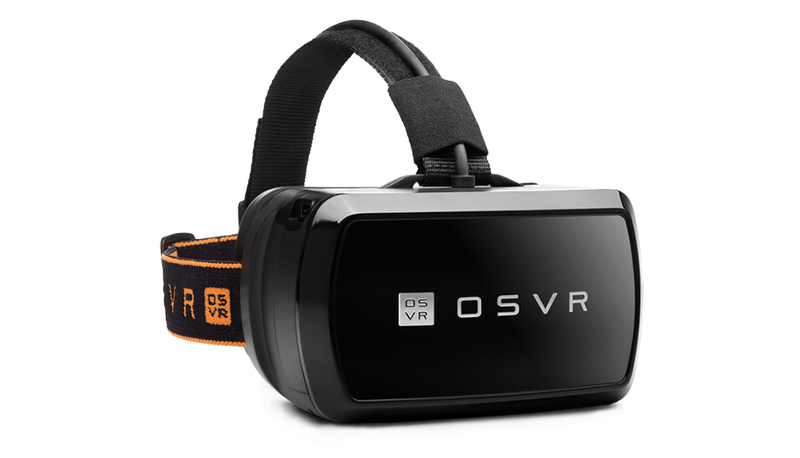 The Open Source Virtual Reality (OSVR) headset will get a significant upgrade soon. Gaming peripheral company Razer announced the OSVR program back in January, but the first prototype headset was an underwhelming affair with uncomfortable ergonomics and a so-so display. That wasn't really the point, though. Rather than a single company aiming to dominate the VR market, OSVR is a loose band of hardware and software companies hoping to do for virtual reality "what Android did for mobile." Since then, OSVR has continued to work on improving the system, adding features like positional tracking and, aptly, Android support. 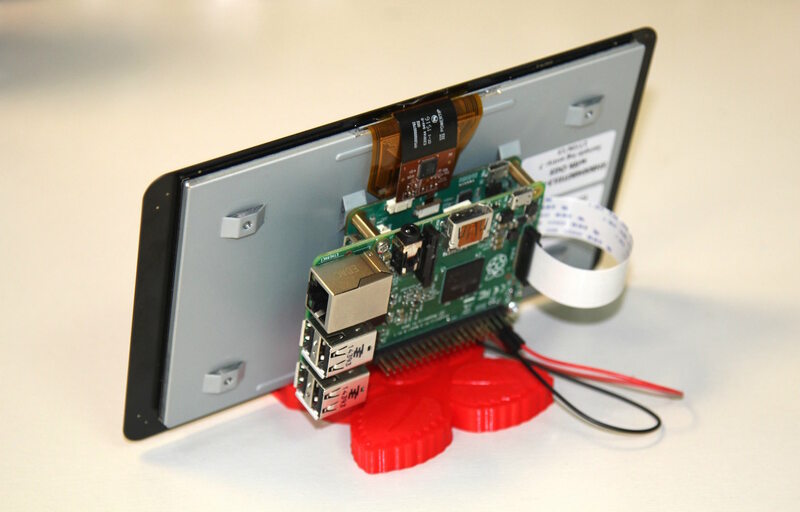 The idea is to perfect the basics, open-source the hardware and software, and let anyone build on and improve it. Microsoft’s Xbox One remaster of Xbox 360 title Gears of War shoots straight to No.1 this week in the All Formats Top 40. The Xbox One-exclusive is the highest charting title of a number of new releases. Sony’s PS4-exclusive survival horror title Until Dawn debuts in second play ahead of Disney’s toys-to-life title Disney Infinity 3.0. The latter sold best on Xbox 360, indicating that there's still a sizeable kids and family market yet to upgrade to the new consoles. Meanwhile EA’s American Football title Madden NFL 16 launched in fourth place, and in seventh place, Bethesda’s remaster of 2012’s Dishonored debuts. Thus ends the quiet July and August release windows in which very little came out. From this week until the end of the year, we have a major physical release every single week. Of course, these charts just represent boxed games sales in the UK, and thus provide a limited view of the UK games market. Last week, MCV launched our Digital Counts campaign in order to get publishers to share their digital data in an effort to get an accurate picture of the UK games market. Going forwards, MCV Magazine will not be running the charts in print, a first for the publication in the 17 years. When we first took a look at GE's Neuro VR project -- which sends you on a journey into a musician's mind -- it wasn't available to the public. Now, all Oculus owners can enjoy the experience that blends data visualization from a real MRI (of Ladytron musician Reuben Wu, who also wrote the music for the project) with immersive entertainment. 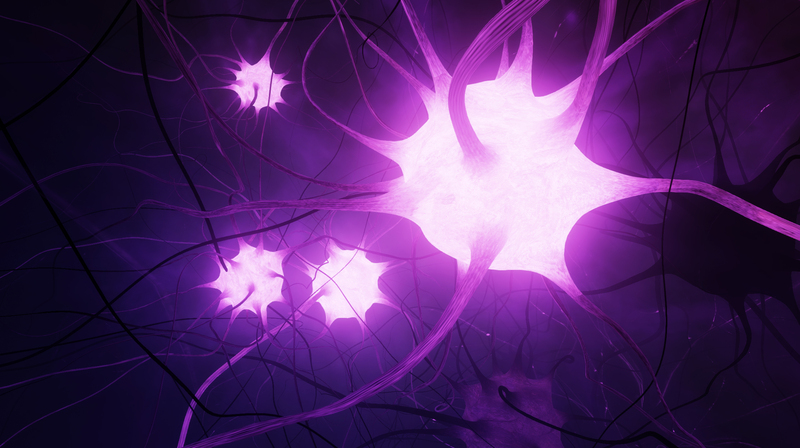 Virtual reality is easy to pitch as a tool for nobel causes like education and rehabilitation, but it's also just pretty darn cool to experience -- and it's fusion projects like Neuro VR that will increase the format's broad appeal. If our early report whetted your appetite for the slick 90fps experience, you'll likely appreciate the video trailer too, which we've kindly snuck in for you below. Neuro VR is also available via Gear VR and MilkVR. UK games industry trade body UKIE has joined the call for more sharing of digital and download sales figures. The firm has long tried to push forward the debate around digital data, and even attempted its own digital chart in partnership with members. UKIE tried to circumvent reluctance from Xbox, Sony and Steam by going directly to the publishers instead. But it was a complicated and awkward process, and producing a regular chart proved too difficult. MCV launched its Digital Counts campaign yesterday, withan open letter to the games industry urging it to share its download figures. MCV is sending out these letters, and the accompanying issue of MCV magazine, directly to industry bosses today. UKIE CEO Dr Jo Twist told MCV: “It is essential to have digital data in order to have a full picture of the UK games market – as the 2014 industry valuation work with MCV proved, the combined value of digital console and PC were estimated at over £1bn, whereas the boxed software was estimated at £935m. Sometimes it's the simple things in life that have the biggest impact on how we see ourselves. For me, it was a day sat alone at home on my sofa. I had just come into possession of a virtual reality headset, an Oculus Rift, and I found myself losing myself to a life I had never been able to properly experience before. Living as a transgender woman, Virtual Reality headsets have been both a blessing and a curse since they came into my life. They've made me more conscious than ever before of my body. I guess a good place to start would be the first VR game I played on an Oculus Rift, a game called Pixel Rift (it has since been renamed Pixel Ripped). Pixel Rift sees you placed in the body of a young girl in various stages of her video-game-playing life, from being a baby sat on the floor looking up at an advert for a games console to playing games under the desk in school. For someone who grew up living under a male name, being able to inhabit a female body during the years of my life I was living as male was a truly captivating experience. Something as simple as sitting at a chair in a classroom, wearing the uniform I'd never been able to wear, was a window into a childhood I never got to experience properly. I couldn't help grinning ear to ear. Just being able to sit and experience that body was something that filled me with a real sense of peace. I was curious. I wanted to see where this VR rabbit-hole could lead me. Unfortunately, not every VR experience I had was that universally peaceful for me. Following Pixel Rift, I started to seek out VR experiences that could attempt to emulate a body that (at the time) seemed a long way from my own. Some were exciting, like playing a modded VR version of Mirror’s Edge, but ultimately the game that gave me the most insight into myself was a simple VR experience titled Girl Body. Girl Body is simple. Stand in front of a mirror, look at a woman who moves her head as you do. Inhabit a female body. It was hardly complicated, but it left me with a lot of complicated feelings. First, there were phantom limb sensations. It's one thing to know your body isn't what you hope it one day will become, but it's something different to have your eyes and your sense of touch lying to each other: to look at yourself and see a body you'd be happy with, but then run your hands across yourself and have things not feel the way they look. It was distressing. I found myself feeling in many ways worse about my actual appearance; I'd seen the end goal and been reminded that what I was seeing wasn't my reality. That really hurt. For the next few days, I felt incredibly self-conscious about aspects of my appearance I had previously been able to ignore on a daily basis. How long until 8K and 16K gaming become the norm? Last month Intel and Micron announced they are developing3D XPoint memory tech, which will help to power 8K gaming in the future. But when will 8K - or even 16K - hit the mainstream? PCR asks the experts. When asked how long until 8K becomes the norm, AMD's gaming scientist Richard Huddy told PCR: "It will do, I’ve got no doubt about that, but we’re a little while from it. We’re only just at the stage where we can run a 4K display at a reasonable refresh rate. "If you want to run a high-end game that has some fairly aggressive graphics settings on a 4K display, then you need a couple of Fury Xs or something comparable to that to give you 60fps that provides a quality gaming experience. "Now. if you’re going to go for 8K gaming, you’re going to double up the pixels in both width and height. Four times as much horsepower is going to be needed. "I think what we’ve done with HBM1… we’ll continue to improve upon it in future generations. So there’s great opportunity for us to go beyond 4K gaming. But it will still take quite a lot of graphics horsepower before we can deliver a really good experience there." Intel and Micron's 3D XPoint tech claims to be 1,000 times faster than NAND, which could drastically improve the performance of games in the years ahead. When asked if 8K is really the future of PC gaming, Intel's UK channel sales manager Matt Birch said: "It is one future, as there are a lot of new experiences the technology can enable. We believe that technologies like 3D XPoint are critical to these new experiences though and we will continue to innovate." "When you get to 16K, improving on that buys you nothing – that’s kind of a done deal then. But if you think about how much extra horsepower that is, that’s a lot from where we are at the moment." So where does 16K gaming come into all of this? Should we even be thinking about that yet? Huddy explained: "I did see some stuff from the most recent Google I/O, where they were talking about a kind of ideal graphics system being able to support 16K per eye. "Oh my!" he gasped. "They have some pretty serious aspirations there. And I understand why. If you look at the human visual system, it’s typically claimed that a person with 20/20 vision needs something like 8K vertically and 16K horizontally to get everything right. "There’s a thing in computer technology called a nyqist limit, where if you want to represent a signal, then you have to have twice as much frequency in order to represent that signal all the time. This means if the human eye goes up to 8K by 8K, then really the display needs to go up to 16k by 16k, so that you don’t get any strobing or other effects that would emerge from wandering at just 8K by 8K. "That’s a phenomenon that comes from the fact that although the image is perfect, the dynamics of the image aren’t quite perfect at 8K. When you get to 16K, improving on that buys you nothing – that’s kind of a done deal then. But if you think about how much extra horsepower that is, that’s a lot from where we are at the moment. Huddy went on: "If I’m claiming we can do 4K gaming for a pair of eyes, one 4K display on a high-end gaming rig with a couple of graphics cards, if you simply scale up to 16K per eye, then you really are doing a total of 16 times as much work – four times as much on x and four times as much on y, and you’re maybe doubling the eye’s load as well. Warner Bros’ LEGO Jurassic World is top of the UK All Formats Top 40 for the fourth time since its launch. It manages this in spite of a 14 per cent dip in sales this week. Between LEGO Jurassic World, Batman: Arkham Knight, Dying Light and Mortal Kombat X, Warner Bros has had 11 No.1s out of 34 weeks this year. With no new releases, it’s the same faces in the charts. Grand Theft Auto V is still No.2, while Arkham Knight sits at No.3 with a nine per cent dip in sales. Meanwhile, Minecraft: Xbox Edition and PlayStation Edition both rise up the charts, each with a one per cent increase in sales. The Xbox Edition goes to fifth place, while the PlayStation SKU rises to No.7. But after this week, expect the charts to get a bit more interesting as we have a big new title coming out every week until the end of the year. Ubuntu Core is a tiny Ubuntu distribution aimed at the Internet of Things, using a new transactional packaging format called Snappy rather than the venerable Debian packaging format. It recently gained support for I2C and GPIO on the Raspberry Pi 2, and a quick demo is given here.Ubuntu's Core support site says that the support for Raspberry Pi 2 isn't yet official, but provides some handy tips for anyone who wants to try it out. Sony has revealed a line-up of Metal Gear Solid 5-branded gadgets in Japan. These range from smartphones to tablets to a £729 walkman. Revealed on Sony's Japanese store (viaSiliconera), the most luxurious item is the ZX series NW-ZX2 Walkman, which goes for ¥140k. That's roughly £729 or $1145. So what does this outlandishly expensive gadget include, you ask? Well, aside from having an Outer Heaven logo engraved into its back, this walkman is a 128GB model that comes bundled with an Outer Heaven leather case, 10 songs from MGS5, the exclamation point sound effect from the games, and four wallpapers. Sony revealed some more affordable MGS5-branded electronics as well, including a much cheaper 32GB NW-A16 walkman that costs ¥28k (about £146 / $229). Additionally, Sony's branded a couple of Xperia tablets. The Z3 goes for ¥59k (around £310 / $450), while its newer Z4 costs ¥84k (around £437 / $687). These also include an MGS5 case, a digital art book, a couple of songs from the game (Quiet's Theme and Sins of the Father), a pre-installed MGS wallpaper, and a ¥1k coupon for MGS5 novels. Most of these items will go on sale 2nd September, though the extravagant NW-ZX2 Walkman isn't scheduled to launch until the end of September. For 18 months, there have been a lot of exciting developments for VR. Facebook purchased Oculus for $2bn, while Sony was getting involved in this new space with Project Morpheus. 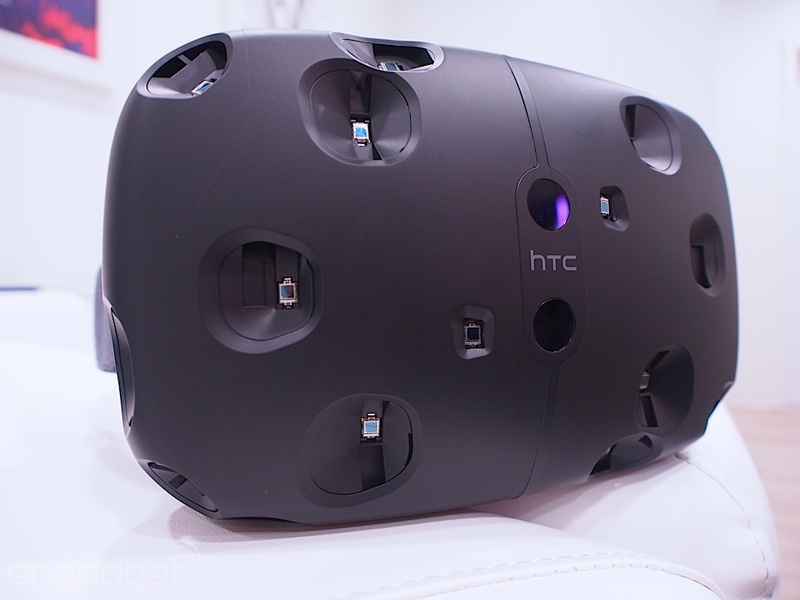 And Valve announced it had partnered up with HTC for its first Valve VR headset, the Vive. But in recent months, the mood surrounding VR has been slightly dampened. We have Network CEO Neil Young predicting a ‘VR collapse’ as companies rush into the sector before it hits the mass market, while Frontier’s David Braben urges caution towards the new tech. Furthermore, development veteran Warren Spector went as far as to call VR a fad. But Oculus boss Brendan Iribe says that the dream hasn’t died; rather, the reality has set in. “VR is the Holy Grail – it’s the Holodeck,” he says. “For a lot of enthusiasts like ourselves, that moment of sensation occurred during the first two years of Oculus’ Kickstarter where everyone was excited about VR and saying ‘Oh my God, it’s finally here’. “Then it’s: ‘Okay, it’s going to be here and it’s going to ship. Now where are we really? It’s going to work, but how? What is this? Who is this for?’ You’re not going to get a billion people on Oculus Rift when we ship in 2016. You are going to get hopefully millions, and that’s okay. But we have come down from the initial sensation to focus on the reality and on making this an incredible experience. You buy it, you have to love it, you have to want to go back into it every day, you want to show your friends and then they want to buy it and they want to go back into it. “That domino will start to fall in 2016. It’s going to be very excited. MCV has seen [Oculus’ control input] Touch and the Toy Box tech demo. Most of the world hasn’t seen that. They’ve seen maybe [older version] DK2, probably only DK1. This new Rift is a huge leap. And it’s really where VR starts. The world is about to see that in 2016 – it’s going to be very exciting.